To View Slide Shows Below, Press Play (>) and Center and "Zoom" the Viewing Screen Using Your Scroll Bar to Fit To Your Screen. NOTE: Double-clicking on an image will open a smaller window, sized for your screen. The greater Waco area is a delightful place to live and work. The metropolitan area encompasses nearly one-quarter of a million people, and is the home to Baylor University (Big 12 Conference), the main campus of the Texas State Technical College System, and McLennan Community College (a satellite campus for Texas Tech University). There are numerous, very nice residential areas, both within Waco itself, and in the surrounding suburbs. In very recent times, the Downtown Waco area has experienced a significant renaissance, in part as a result of the international sensation of the Gaines' empire of Fixer Upper fame. Once-dormant Austin Avenue now anchors a bustling town center, with shops, restaurants, clubs, the landmark Waco Hippodrome and other attractions, all near Baylor University's beautiful campus. For those who know little of Texas: Waco has no sand, no desert, no tumble weeds, and very few cowboys (not that there is anything wrong with cowboys - there simply are not many here, as some otherwise assume). Both the Brazos and Bosque Rivers flow through this area, and Lake Waco is a sizeable reservoir and recreational lake. The Waco area is, over-all, quite wooded and "green." Waco's stunningly beautiful Cameron Park is one of the largest urban parks in America and includes the Cameron Park Zoo - one of the finest "new generation" zoological parks in the country. Along with other areas around greater Waco, Cameron Park is quite "hilly", and provides vistas of 50+ mile views from its bluffs on a clear day. Cameron Park has been the site of a number of national events, including the National Mountain Biking Association's finals, as well as crew competitions and practices involving university crew teams from so far away as Harvard and Yale. As part of, or in addition to the many cultural facets of life brought to town by a major university, Waco is home to a number of museums and cultural organizations (The Waco Symphony, The Texas Ranger Hall of Fame, The Mayborn Museum Complex (at Baylor University), The Texas Sports Hall of Fame, The Dr. Pepper Museum [Waco was the birthplace of this famous soft drink, as well as of the Big Red soft drink], The Armstrong Browning Library and Museum, The Hippodrome Performing Arts Center, The Texas Collection, and a number of others. The Heart of Texas Fair & Rodeo Complex has emerged as one of the premier equestrian centers in America, and the new Central Texas Regional Tennis Center and nearby Hawaiian Falls are recreational gems. Waco's recent growth leaves little to be desired in terms of needs for daily living, shopping and recreation. Nevertheless, for access to those things residing in only "major cities", Waco lies equidistant between Dallas and Austin (a typically 90 minute drive via I-35 each way). The maximum commute time between any two points in the Waco area is about 25 minutes. Therefore, one can live and work in Waco and, if compelled to do so, can drive to Dallas or Austin on weekends, and still spend considerably less time overall driving each week than one who lives in Dallas or Austin and faces the hour or more daily commute as is typical in those and similar cities. In addition to the educational presence in Waco, the area boasts the significant corporate presence of Space X, L3 Communications, M&M Mars, Allergan, Caterpillar, Coca Cola, Sherwin-Williams, Tractor Supply, Time Manufacturing, TYMCO, the Army Air force Exchange Service ("AAFES") and a number of other companies large and small. Providence Hospital continues to expands its hospital complex, and the new Hillcrest Medical Center (part of the Baylor Scott & White Medical System) opened very in the past few years. A new research park - a collaboration of Baylor University, Texas State Technical College, McLennan Community College, and a variety of state and local agencies - also opened within the past couple of years. 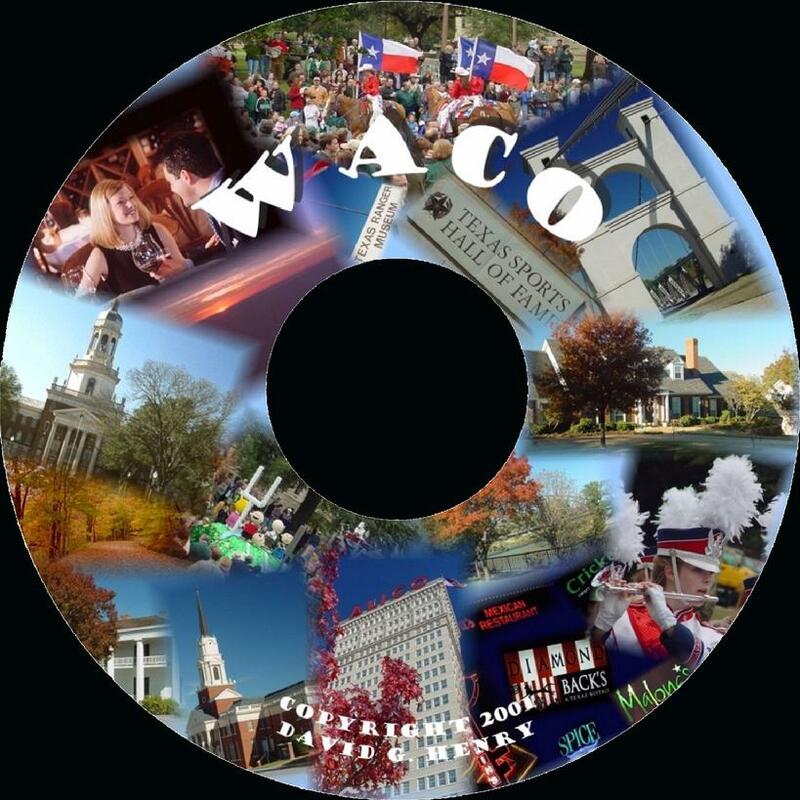 Recently, Forbes Magazine named Waco as the 3rd best city in the United States in terms of employment opportunities, and Waco also recently ranked 1st in Texas in terms of job creation (ahead of Dallas, Austin, Houston and San Antonio). The Waco area has three airports of significance, ranging from Waco Regional (served by American Airlines' regional jet service), Texas State Technical College Airport (where Air Force One landed, while President Bush was in office, and home to a number of aircraft industries with contracts from the likes of Boeing, NASA, all branches of the U.S. Military, and so on), and McGregor Executive Airport.